Growing and investing in Austin’s creative culture is a cornerstone of the city’s identity, as well as of its economy. The focus is to encourage and support Austin’s live music, festivals, theater, film, digital media, and new creative art forms. In order to support the creative industry, this priority program will include educational and economic programs as well as programs that provide affordable transportation, work space, housing, and healthcare. 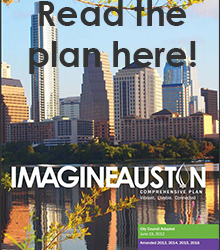 For additional information about this priority program, see page 199 of Imagine Austin, or contact the Planning and Zoning Department liaison. ArtistsATX provides a one-stop portal for artist opportunities from funding and commissions, exhibition and performing opportunities, jobs and residencies, professional development workshops, and more. The creation of this website furthers the goals of the Creative Economy Priority Program by centralizing resources from across five different City departments and making it easier than ever to access City resources for the arts. To learn more visit austintexas.gov/ArtistsATX or email us here. With representation from a number of departments, the Creative Economy Priority Program team in the past five years focused on three thematic areas: 1) Building Creativity Capacities in People; 2) Creating Development in Place; and 3) Building Knowledge through Studies and Planning. While the City’s investment in the arts has increased and the Creative Economy Priority Program (CEPP) team has made significant progress in its work, the reality on the ground is that the creative sector is still struggling with affordability issues. The creative economy indicators show growth in the City of Austin’s investment in the arts, and yet theaters, live music venues, and artist studios have continued to close. Every year more artists, creatives, and musicians move away from Austin because of the rising cost of living. Over the past 5 years since the adoption of Imagine Austin, the CEPP team has brought critical focus to the forces underlying Austin’s Creative Economy through targeted actions.